Wireless keyboards for the iPad come in all shapes and sizes. Some duplicate Apple’s Smart Cover approach by only covering the screen when it’s not in use. Others forgo attaching to the iPad, letting users decide which case to use. And some keyboards offer complete protection. 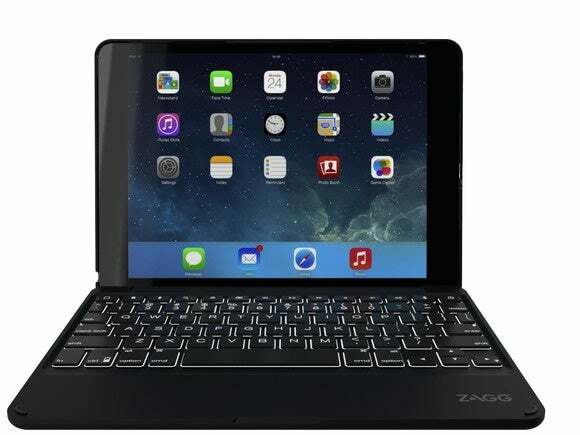 Such is the case (forgive the pun) with the Zagg Folio. The Folio is available in black or white, complete with a faux-leather back to add an appealing flair to its otherwise mundane plastic housing. The keyboard itself is fairly standard as far as Bluetooth keyboards go. The top row of keys are iOS shortcuts, such as a lock key, the home button, media controls, and a Spotlight button. The rest of the keyboard follows the standard QWERTY layout, with keys that are ample in size. Typically, when I switch between wireless keyboards (which is often) the first hour or two is riddled with typos from having to adjust to the size or layout of keys. That didn't happen to me with the Folio. The keys are spaced just right and feel bigger than most keyboards I’ve tested. One complaint about the keys, however, is that they have almost too much play. They tower high above the plastic housing and can be pushed down until they’re almost even with it. The extra depth slowed my typing speed ever so slightly. It's not a major complaint but something touch-typists will likely take issue with. One thing I consistently noticed during my testing was the lag in-between turning on the keyboard and connecting with my iPad. On very few occasions did I experience the connection to be nearly instant as I normally experience with other keyboards. The majority of the time there was a two- to three-second delay between seeing the green power button light up, and the connection being made with my iPad. I can only guess the issue lies with the Folio. The housing provides for an adjustable 135-degree viewing angle. Though when you have the viewing angle maxed out, the case becomes top heavy. 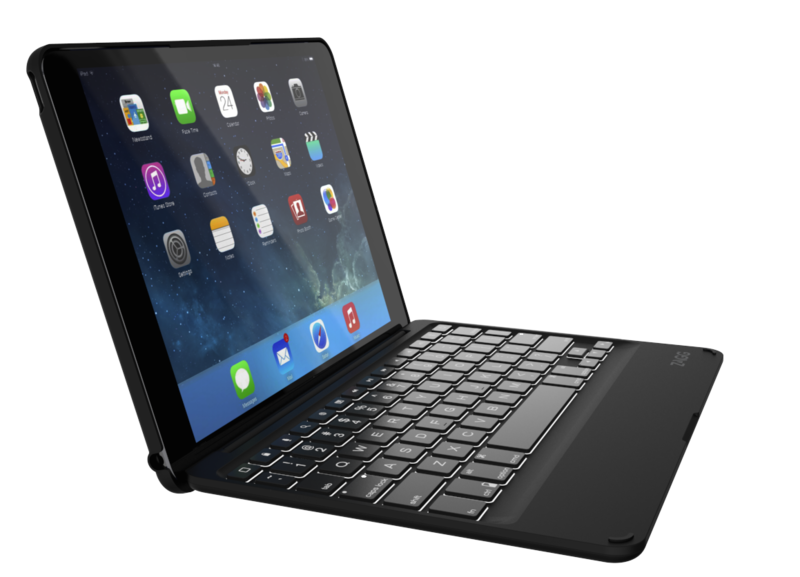 The end result is a keyboard that’s prone of coming off your desk or table when you tap on the iPad’s screen. And that’s with a normal touch of the screen to, say, tap on a back button. I had to get into the habit of leaving one hand on the keyboard to hold it down with the other hand tapping or swiping my way through apps. The biggest downside to the Folio is that you’re locked into using the iPad in landscape orientation with a keyboard below it. You can remove your iPad from the case at anytime, but removing it and putting it back in defeats the main purpose of a Folio-like product: protection. Besides, removing your iPad from the Folio isn’t an easy feat—it takes a bit of work to do it (by design, no doubt). Despite my gripes about connection lag or it being top heavy, I found the Folio to be a delight to use. The familiar spacing and layout of the keyboard cuts down on the learning curve, and I felt confident in the level of protection provided by the case to ward off any damage should a drop occur. All in all, the Folio is a quality keyboard-case combo for someone looking to keep their investment safe and add a productivity tool to the iPad. Now, who can I talk to at Zagg about this “Warning” sticker just below the keys? It’s annoying and I can’t get it off. All in all, the Folio is a quality keyboard-case combo for someone looking to keep their investment safe and add a productivity tool to the iPad.